The earliest record of the name of Cappadocia dates from the late 6th century BC, when it appears in the trilingual inscriptions of two early Achaemenid kings, Darius I and Xerxes, as one of the countries (Old Persian dahyu-) of the Persian Empire. In these lists of countries, the Old Persian name is Katpatuka, which is of uncertain origin. Herodotus tells us that the name of the Cappadocians was applied to them by the Persians, while they were termed by the Greeks as “Syrians” or “White Syrians” Leucosyri. One of the Cappadocian tribes he mentions is the Moschoi, associated by Flavius Josephus with the biblical figure Meshech, son of Japheth: “and the Mosocheni were founded by Mosoch; now they are Cappadocians”. AotJ I:6. Also see Ketubot 13:11 in the Mishna. 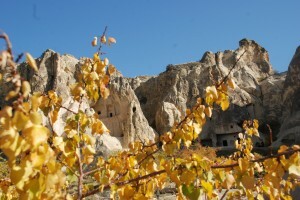 Please contact us for further information and booking Cappadocia.